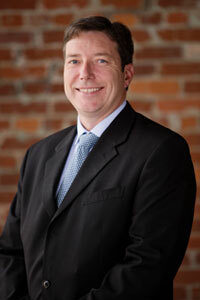 Matt Woods is a real estate broker, certified real estate appraiser, and an approved real estate instructor. He holds a Masters Degree in Business Administration and has taught college level courses in Labor Economics and Business Math. Matt is a designated member of the National Association of Realtors, including the RAA, SFR and GREEN designations. He is also an IFA designated member of the National Association of Independent Fee Appraisers and has earned the CRS designation from the Council of Residential Specialists. Matt serves on the City of Fort Payne Zoning Board of Adjustments, is a member of First Baptist Church - Fort Payne, active member of the Fischer Rescue Squad for over 14 years and part-time Firefighter and EMT for the City of Fort Payne Fire Department for over 12 years. Matt builds a relationship of trust with his clients by calling on his years of real estate knowledge and experience in helping them buy or sell their property. Matt is married to Jeannie Woods and they have two children...Blake and Katie Beth. Matt enjoys spending time with his family. Hobbies include running, hiking and rappelling and scuba diving.